To get the best deal on an Orlando vacation you will want to purchase a vacation package complete with lodging and Orlando area theme park tickets together. Our customers who purchase an Orlando Florida vacation package save an average of 12% more than customers who buy each item A la carte. We are really excited to have developed our Orlando Vacation Custom Package Builder. To use this great vacation planning tool please enter your dates of travel above and the number of adults and children in your party then push submit. The tool will show you the Orlando hotels and vacation home rentals we have available during your travel dates, after you have selected your lodging the tool will take walk you through choosing the theme parks tickets which is best for your party. If at anytime you have questions, please feel free to call us toll free at 1-800-641-4008 and one of our friendly Orlando Vacation package agents will be more than happy to assist you. Want a truly magical vacation, then you need to visit Walt Disney World while you are here in Orlando. Disney has 4 huge theme parks, a completely redesigned shopping center called Disney Springs, 2 waters parks, and much more. 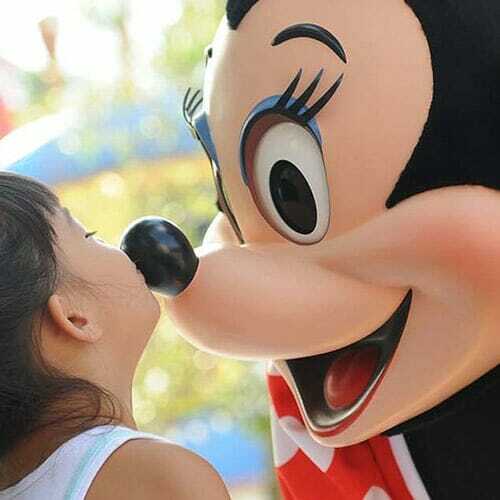 Click here to book a Walt Disney World Vacation Package Deal. With the help of the ever popular Wizarding World of Harry Potter, Universal Studios has quickly become the most popular theme park in Orlando. Universal Studios has 2 theme parks, and new water park called Volcano Bay. Click here to book at Universal Studios Orlando Vacation Package Deal. Seaworld is one of the best theme parks in Orlando, especially if you have small children as there are few theme park rides at the park so that means you don’t have to stand in long lines. SeaWorld has 1 theme park and 1 waterpark called Aquatica. 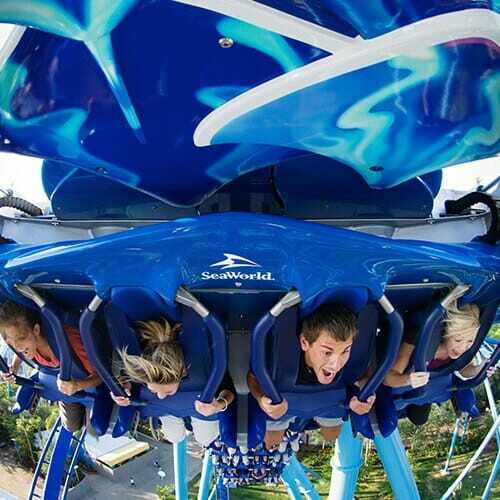 Click here to book at SeaWorld Orlando Vacation Package Deal. 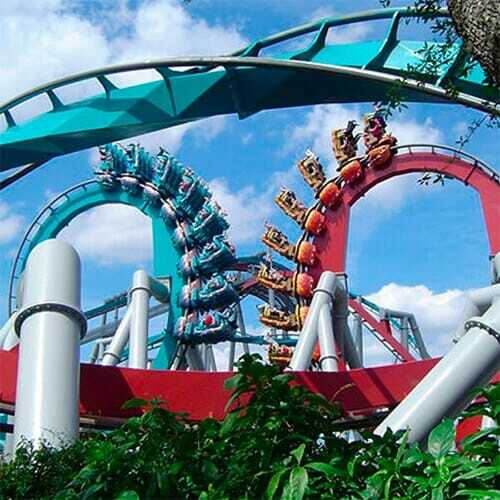 The theme parks in Orlando typically raise their prices two to three times a year. Our promise to our customers is that we will sell you the theme park tickets for the price they are when you make your reservation not the price the tickets are when you are coming in town. When the parks raise their ticket prices they usually go up anywhere from 2% to 8% so booking your vacation early will save you quite a bit of money. Buy the base tickets, this one tip will save you $50 per person on your Orlando vacation package price. A recent study showed that nearly 75% of the people who go to Walt Disney World buy the Park Hopper Option, but 60% of the people never actually use it. The most expensive way to build an Orlando Vacation package is to try and see all the theme parks. How do you know which theme park is best for your family? Well you have come to the right place. Here at OrlandoVacation.com we have literally hundreds of pages and articles about each of the major theme parks in Orlando, if you spend just a few minutes researching you will save yourself a lot of money. Almost without fail, every time I go to the park I see a little child having a complete meltdown and frustrated parent trying to soothe them. To avoid having complete meltdowns plan a little down time on your Orlando vacation. We have been helping guest in book their Orlando vacation package deal since 1993. Over the past 24 years we have learned a few things to and we would love to assist you in planning your vacation. 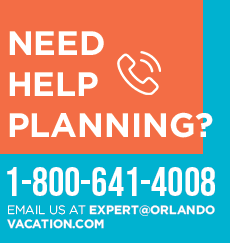 Please call us toll free at 1-800-641-4008 if we can answer any questions or assist you in booking your Orlando vacation package.